Chinese New Year, Saturday, 9 February 2019. Our students were invited to perform at the heart of this celebration at New Mexico State University’s Corbett Center. It was a big event, with perhaps 500 attendees in addition to performers. 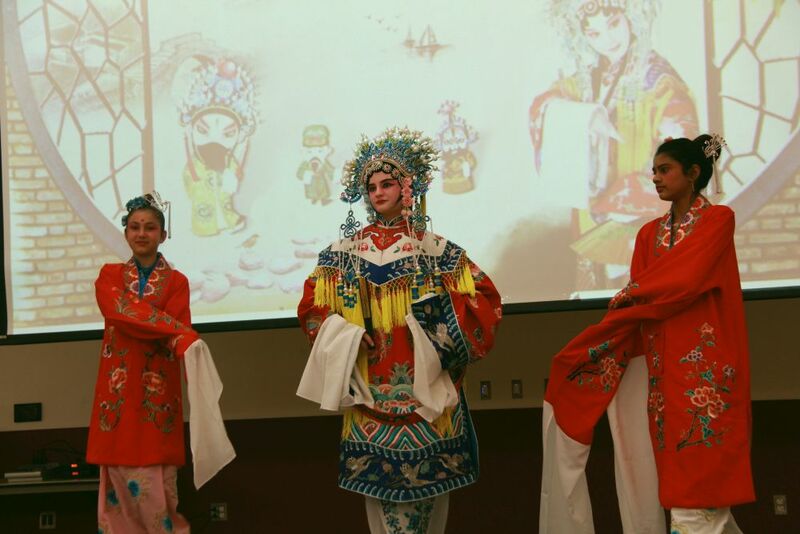 Our beloved Mandarin Chinese teacher, Yulin Zhang, prepared the students for their performances for months, while also engaging students in all the basics of reading, writing, and conversing in Chinese. You can see that Chinese is one of our flagship programs in our strongly academic (and fun!) school. I’m preparing a video with six of our students’ performance segments. That takes a lot of processing, so please enjoy this first video. Thanks. Vince also had lots of still images, so here they are in a gallery. Enjoy! In the first image you see our great teacher, Yulin Zhang, and our Head of School and founder, Dr. Lou Ellen Kay.